The 231s offers allows true 1/3-octave bandwidth control at all slider positions. The 231s features a boost/cut switch that allows you to select which of the two boost/cut ranges the equalizer will use, either ±6 dB or ±12 dB. The red LED lights when the ±12 dB range is selected. Bypass the EQ with a simple press of the 231s's bypass switch that is conveniently located on the front panel. The 231s is capable of -12 dB to +12 dB of gain. Easily determine the processing status of the 231s via the front panel LEDs. The 231s has balanced inputs and outputs that can be used with any balanced or unbalanced line-level device. The 231s is able to easily respond and adjust for a speaker's frequency response based on its amazing 10 Hz to 50 kHz frequency response range. The 231s's wide dynamic range ensures clean, clear audio regardless of the audio content being processed. When the pros need an EQ, they turn to dbx. With a proven track record that spans four decades, dbx® EQs are the industry standard for touring, studios, and audio installations. With the dbx heritage of revered pro EQs, the 231s meets the needs of the most demanding sound reinforcement environments, while offering the simplicity of straightforward controls. 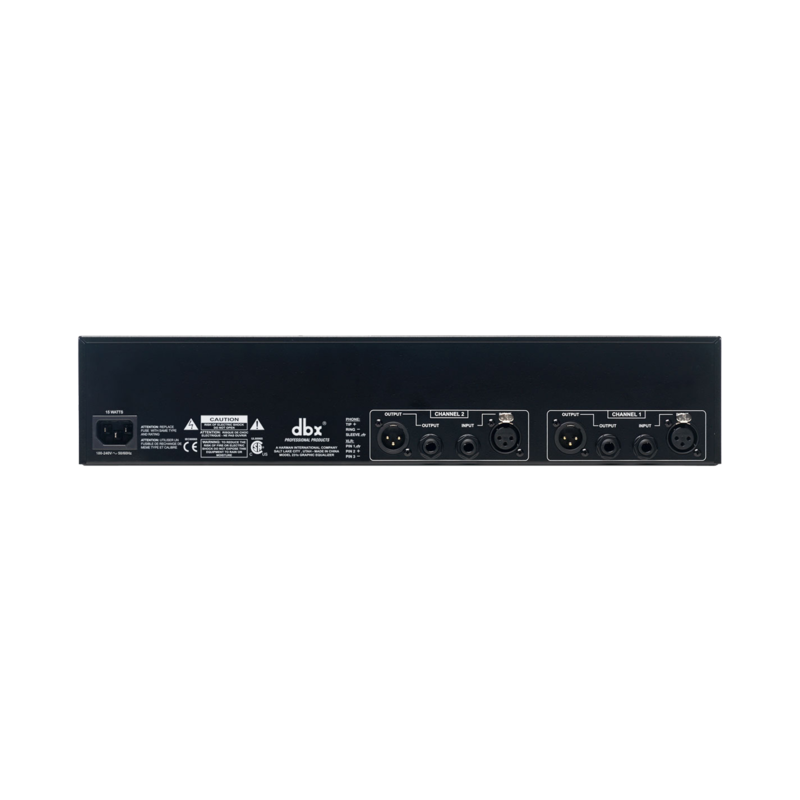 The dbx 231s includes two 31-band channels of 1/3-octave equalization, ±12 dB input gain, switchable ±6 dB or ±12 dB boost/cut range, 20mm nonconductive sliders, an intuitive user interface, and output level metering. From its extended 10Hz to 50kHz frequency response and 112 dB dynamic range to the quality componentry and meticulous attention to detail, the 231s offers exceptional sound and rugged reliability that guarantees you will always sound your best. Sure to find a home in the studio, on tour and with installed sound venues, the dbx 231s is destined to take its rightful place in the lineage of great dbx signal processors that are the professional's choice in signal processing. With such affordable quality, there's no longer any excuse for compromising your sound.